We have run a wild and domestic rescue for 4 years and have now built up a huge support network with local vets, public and centers. Unfortunately that means we now have out grown our current living. We are trying to find the funding to buy property/land to build a new center thats equipt to deal with the quanity of animals we recieve on a daily basis. Due to the large demand for our services we are having to turn away birds or relocate them and this is the last thing we would want to do! We take on extreme cases no others want, we arent afraid of surgery costs and will do everything in our power to save british wildlife. We also takw in and rehome neglected pet animals and this can take up alot of space, ideally we would like to buy property, build a small medical center and several large avairies. We accomadate disabled birds also and need a good size environment for them to live in. My name is Kelly i have worked with animals for 14 years now. Due to a anxiety disorder i never followed my dreams of being a vet. 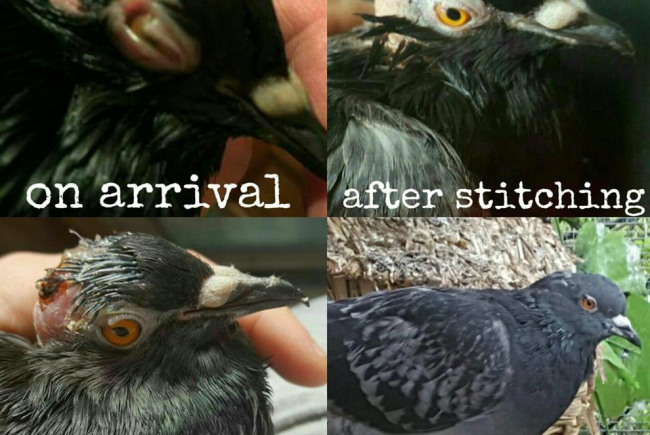 After many years in the pet industry i slowly built up a supportive network of friends and started a successful rescue for domestic birds, this later expanded to wild. I did everything in my power to broaden my knowledge and experience and we now have many volenteers, a large number of supportive vets and our own avian and exotics vets. My dream would be to expand to a one of a kind rescue where people could visit and broaden their own knowledge of british wildlife.